The president of a medical school in Virginia has apologized for the pain inflicted on African Americans by a racist photo that appeared on a yearbook page belonging to Gov. Ralph Northam. Dr. Richard V. Homan told reporters Tuesday that Eastern Virginia Medical School takes full responsibility for the image and others that appeared in the 1984 publication. 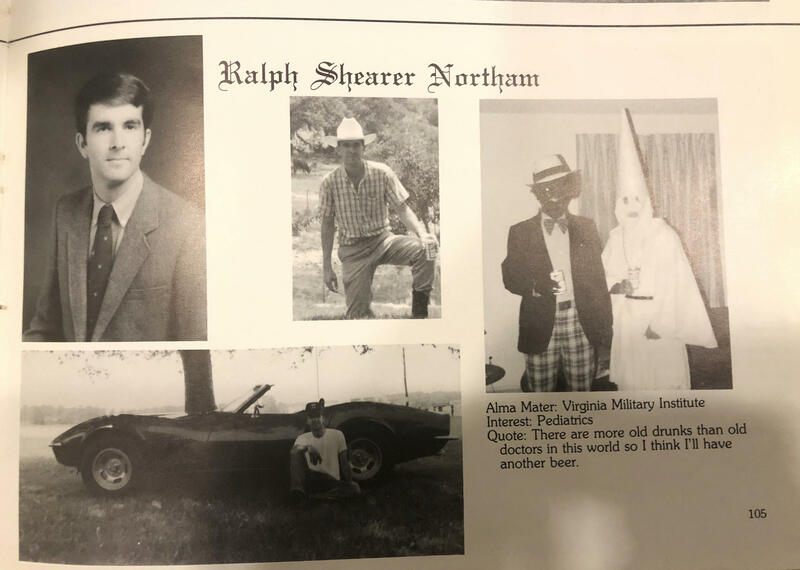 A photo on Northam's yearbook profile shows a man in blackface standing next to someone in a Ku Klux Klan robe and hood. At least two other photos in the yearbook show people in blackface. Northam has denied he's in the photo or that he submitted it for publication. Homan said an independent investigation will try to get to the bottom of how the images got there and will review all yearbooks.